A trend towards the “unilateral imposition of regulations” was bemoaned by BIR World President Ranjit Singh Baxi of J&H Sales International during the world recycling organisation’s latest Paper Division meeting, held in Barcelona on May 28. At times with little or no warning, countries were introducing regulations that massively impacted the recycling industry. By way of example, Mr Baxi highlighted the decision by the Indonesian government to implement 100% inspections of “non-toxic and non-hazardous waste” imports, including recovered paper, with effect from April 1 this year. Robin Wiener, President of the US Institute of Scrap Recycling Industries, was “very concerned” about the spread of China’s policies and messaging to other Asian countries, including Indonesia and Vietnam. Often, she added, new regulations led to more questions and uncertainties for the recycling industry; for instance, clarification was still being sought about the precise meaning of “carried waste” in China’s new rules governing contamination thresholds for recovered paper imports. Experts believe Chinese imports of recovered fibre could drop to between 15 and 17 million tonnes in 2018 after having reached almost 29 million tonnes as recently as 2015. Import licences issued up until the end of April this year were for a total of approaching 10.9 million tonnes – and 50-60% of those licences has already been used, according to Mr Baxi. Chinese imports fell from 5.4 million tonnes in the opening quarter of 2017 to 3.5 million tonnes in this year’s corresponding period, with European suppliers providing only 719,000 tonnes and their US counterparts 2.59 million tonnes. 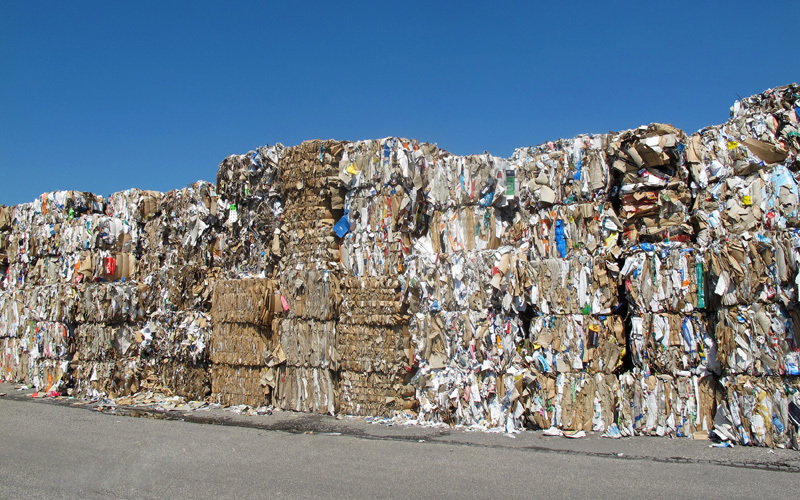 Emiliano Guainella, General Manager EMEA Containerboard at International Paper in Spain, identified fibre purchases as the largest cost for mills and said the proportion of unwanted material continued to be an issue despite improvements. It was important, said the guest speaker, to find cost-competitive ways to further reduce the percentage of unwanted materials, as well as to achieve better separation of paper grades. spoke of the need for a common understanding of the paper recycling chain. “We are all recyclers – we cannot live without you and you cannot live without us,” he proclaimed. That said, there had been misunderstandings in the past owing to “a legal framework that did not fit the reality of our common work”. In this context, he underlined the importance of devising a definition for “the secondary raw material you produce and we consume”. Also, he said, there was no definition of the “final recycler”. 2018 was proving to be “a very challenging year” for the scrap industry, according to BIR Non-Ferrous Metals Division President David Chiao of the Uni-All Group in his opening remarks to the body’s latest meeting, held in Barcelona on May 28. EuRIC, the European Recycling Industries’ Confederation, and ETRA, the European Tyre Recycling Association, have announced their partner membership.